If Clint Eastwood wins his first Academy Award for acting come February, besting Sean Penn for "Milk" and Mickey Rourke for "The Wrestler" among other probable nominees, it'll be like 1971 all over again, the year Helen Hayes snagged a supporting actress statuette for her shifty-stowaway routine in "Airport." Longevity and sentiment count for a lot with the Oscars. And Clint Eastwood is a titan. He's an international movie star who developed into a confident, defiantly old-school director, and whose best work behind the camera examines the tradition and enduring attraction of warrior machismo, as well as its cost. But it helps to have a decent script. Eastwood doesn't have one in "Gran Torino," whose title refers to the 1972 beauty, manufactured a year after Eastwood made "Dirty Harry," hidden away in the protagonist's Detroit garage. 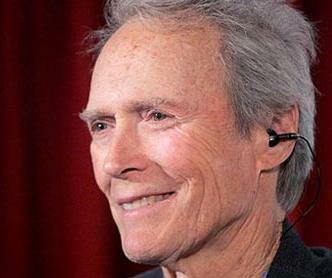 In his first onscreen role since "Million Dollar Baby" four years ago, Eastwood plays Walt Kowalski, retired after 50 years from a Ford plant. A reclusive Korean War veteran who keeps his M-1 rifle ready for trouble, he's not so much a specific character as a repository of the collective filmgoing memory, evoking Dirty Harry, stone-cold killer of stone-cold killers, most strongly. One scene in "Gran Torino" finds Walt confronting a group of African-American gangbangers who call him an old man, and worse, and the whole thing is set up so blatantly to stoke our bloodlust, letting us watch a proud, seething icon whup some multiculti behind, that it's on the edge of embarrassing. Just because fledgling screenwriter Nick Schenk has his hero become a friend to the Hmong neighbors doesn't mean he isn't risking another kind of racism. Walt, given to epithets such as "slope" and "gook," is meant to be an equal-opportunity bigot, though the minute he confronts the scared, sweet teenager next door -- the one who breaks into his garage to steal his Gran Torino -- you're reassured that everyone's going to learn from this situation. Young Thao (Bee Vang), desperate for a male role model, makes amends for his attempted robbery. His unlikely mentor sets out to "man him up" and teach the boy how to stand up to his venal gangsta cousins, the ones also preying on his older sister (Ahney Her). Some of this is affecting and painful in the right way; a lot of it is just cheap. The tone veers like a drunk driver. In the beginning, at the funeral of his saintly wife, Walt surveys his thick-necked offspring and their insolent children, especially the teenage punker with the bare midriff, and he literally growls, in comical close-up, like Bart the Bear in "The Edge." "Don't you think he's gonna get in trouble over there, in the old neighborhood?" one of his sons wonders early on. Yes, he is, and that's the movie, and the only thing the old neighborhood really needs is a familiar face with a familiar growl and a big gun, eager to take on the vermin. Eastwood shot "Gran Torino" in 32 days, and it arrives in theaters less than two months after his previous, more rewarding drama, "Changeling." His signature directorial style is of a piece with his reliable regular collaborators, including cinematographer Tom Stern, editors Joel Cox and Gary D. Roach, and production designer James J. Murakami, who has taken over the design duties since the death of Henry Bumstead. The way Stern lights this film, the Detroit skies are grubby, tinged with sorrow. Often Eastwood frames himself on Walt's front porch, a sizable American flag right behind him. It's consciously iconic, as is the character, the '72 Gran Torino and "Gran Torino" itself. Yet Eastwood's foursquare directorial aesthetic tends to heighten, rather than camouflage, a screenplay's shortcomings. He may well win the gold for this one. But we'll have to assume he's winning it for richer assignments en route. MPAA rating: R (for language throughout and some violence). Starring: Clint Eastwood (Walt Kowalski); Bee Vang (Thao); Ahney Her (Sue); Christopher Carley (Father Janovich); John Carroll Lynch (Martin). Directed by Clint Eastwood; written by Nick Schenk; photographed by Tom Stern; edited by Joel Cox and Gary D. Roach; music by Kyle Eastwood and Michael Stevens; production designed by James J. Murakami; produced by Eastwood, Robert Lorenz and Bill Gerber. A Warner Bros. Pictures release.